Bill Nighy stars as Charles Paris in this BBC Radio 4 full-cast adaptation of Simon Brett's comic crime novel An Amateur Corpse. Charles is out of work again, and to make matters worse his mother has come to stay and he's no way of escaping her. So when he's offered some voiceover work by old friend, Hugo, he's delighted to get out of the house. 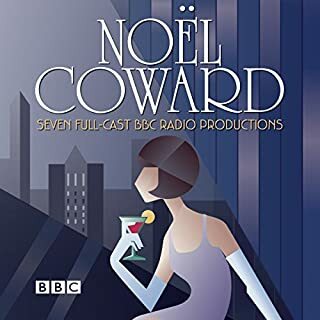 But Hugo's marriage is in trouble: his much younger wife, Ellie, spends all her time at her Amateur Dramatic Group, and Hugo is drinking too much. 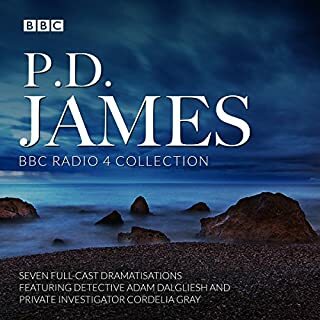 A collection of four blackly humorous crime mysteries featuring the fictional BBC Radio crime correspondent George Cragge. 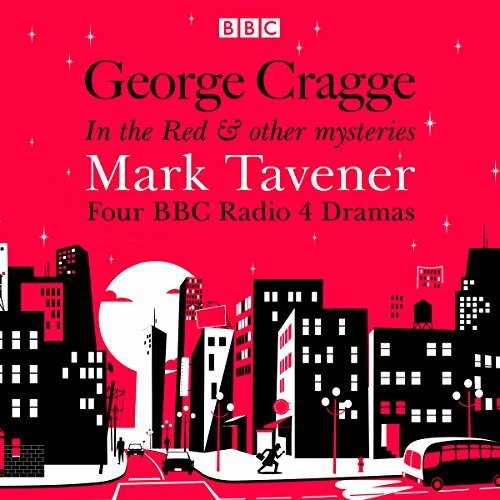 Adapted from the novel by Mark Tavener, In the Red sees the anarchic George Cragge investigate a spree of bizarre murders in the world of City finance, a small political party contesting a by-election, and a plan to overthrow the Director-General of the BBC. The sequel, In the Balance, features George Cragge kicking off a murder trail during the FIFA World Cup at Wembley Stadium. And with Europe becoming a hot potato, can the Prime Minister hold on to his job? In the Chair follows the maverick hack as he looks into a series of murders of dentists linked to New Labour policy. 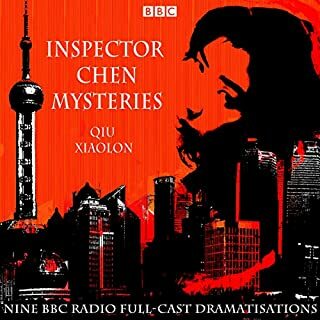 The final drama, In the End, sees George Cragge investigating a series of murders of journalists. I felt myself tear up when I realised [SPOILER AHEAD!!!] that George Cragge had died IN THE END. Wish he could have gone on solving crimes forever! Michael Williams (late-husband of Judi Dench) is fantastic, he makes the series’ shine with his portrayal of BBC reporter George Cragge. 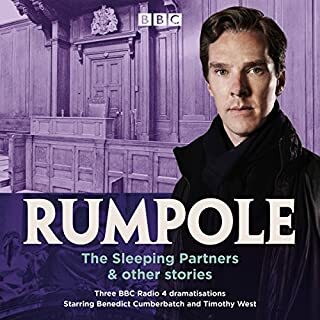 These stories include Charles Prentiss and Martin McCabe, played by Stephen Fry and John Bird, which in 2000 (-2006) starred in their own spin-off series ‘Absolute Power’ which is also written by Mark Tavener. This is excellently written and performed by a great cast. 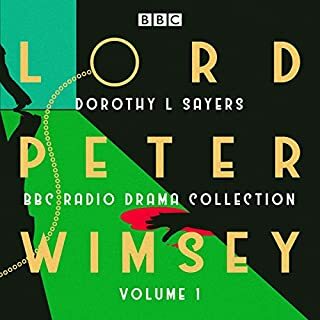 It would be spiffing if audible could obtain both series of Higher Table Lower Orders also by Mark Tavener and equally brilliant! Please audible crack on! Michael Williams is excellent in his role as the modern crusading journalist in the shallow worlds of politics, high finance and media. Much of what is being satirised is relevant today as it was when this series was first broadcasted. 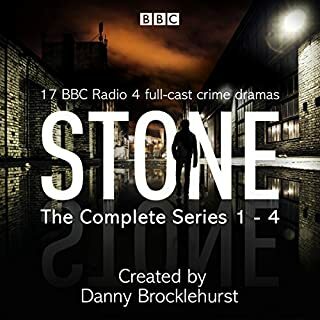 The plots and characterisations are strong, helped by an extraordinary supporting cast which not only reads as a Who's Who of British satire of the past 50 years with the likes of John Bird, Rebecca Front, Hugh Laurie and Stephen Fry but also stellar actors such as Barry Foster, Tracey-Ann Oberman, Peter Woodthorpe, Jim Carter, Suzie Brand, Stephen Thorne, Benjamin Whitrow and Jeremy Clyde. The series is excellent due to the superb efforts of production teams which include the likes of Scott Cherry and Paul Schlesinger. This is BBC radio at its best, long may it continue! Long winded and not overly funny. Politicians might find it amusing but it just dragged on. These were very strong performances in increasingly weaker stories. George Cragge was thoroughly unlikeable though. I sympathised with his editor and with his friend Frank because anyone who told me that they could do my job better than me in that tone of voice would get short shrift. The Labour Party story, while funny, was unnecessary in the final tale. Great to see Charles and Martin from Absolute Power though. They might relate to new labour and Blair but they are still funny and some parts topical for today - politics and the BBC haven’t changed that much. Anyone who remembers those days will particularly enjoy them. Bird and Fry went on to the Absolute Power series from these. It got a bit annoying towards the end. A gentle series of murders not very taxing.